Ident-A-Kid has been a PowerSchool partner since 2013. PowerSchool has given Ident-A-Kid the Seamless Data Exchange badge verifying our API with the ability to send data both ways. Use Ident-A-Kid to automate the Tardy pass process by selecting the reason they were tardy or leaving early and who they are leaving with. A pass is then printed and this exception is logged automatically in PowerSchool. You can even run Tardy reports and occurrence reports for discipline! 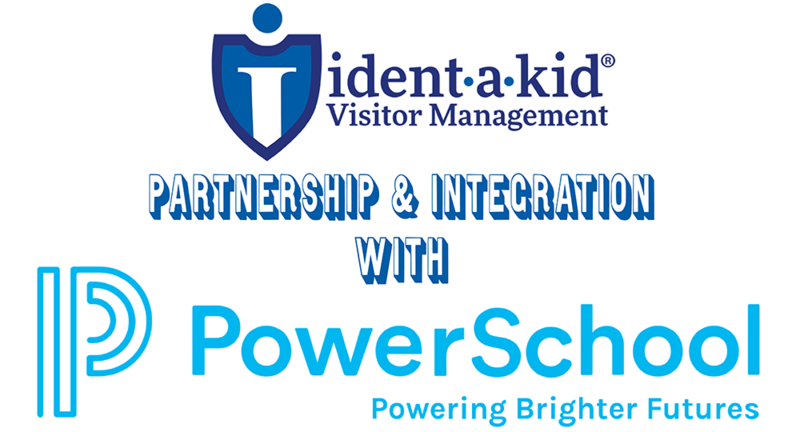 This API connection will import all Student names and attendance codes from PowerSchool into Ident-A-Kid’s Visitor Management Solution. The API is then enabled to send all tracked tardies and early released through Ident-A-Kid back to PowerSchool in REAL TIME. Automate attendance code selections while running in Kiosk mode. For Early Released students, the appropriate attendance code will be selected and posted to the Student’s schedule for the remainder of the time of the day or posted for all classes after the checkout time. This connection is only available for our Enterprise Edition at this time. Enterprise Edition is our District solution and all schools will be set up through our District Admin module. This API is easily implemented within the API Plugin Manager. For FAQs on the PowerSchool API, click here. To view the Integration webinar, click here. For demoing Enterprise with the PowerSchool connection, click here.